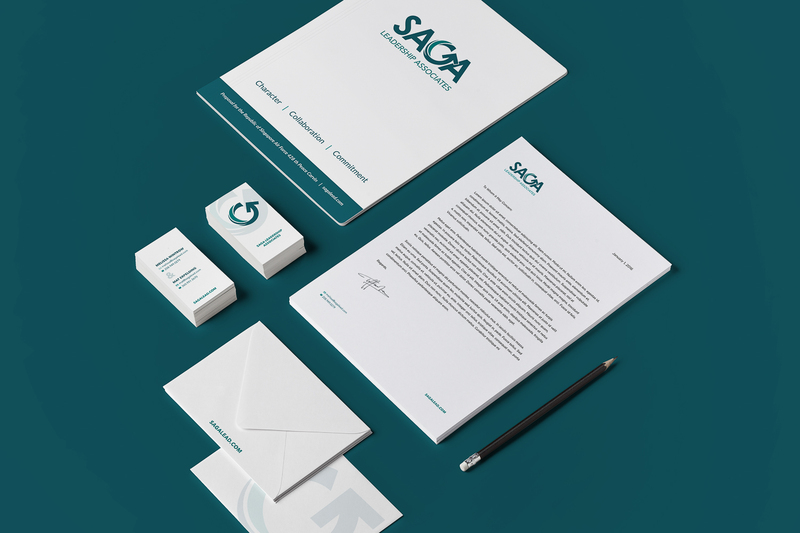 Saga Leadership Associates is a consulting group that offers workshops and retreats for small businesses and teams to cultivate character, collaboration and commitment. Owners Melissa and Matt approached me on developing Saga’s brand, hoping for a unique but professional mark that reflected their business values. We landed on this simple, yet powerful solution. The “G” within SAGA undulates outward signifying SAGA’s goal of forward motion and energy. The teal palate reflects SAGA’s balance yet creative approach to teaching.